A sturdy force of nature, the social entrepreneur talks environmental responsibility, gender equality and visiting Antarctica, the earth’s most hostile environment. 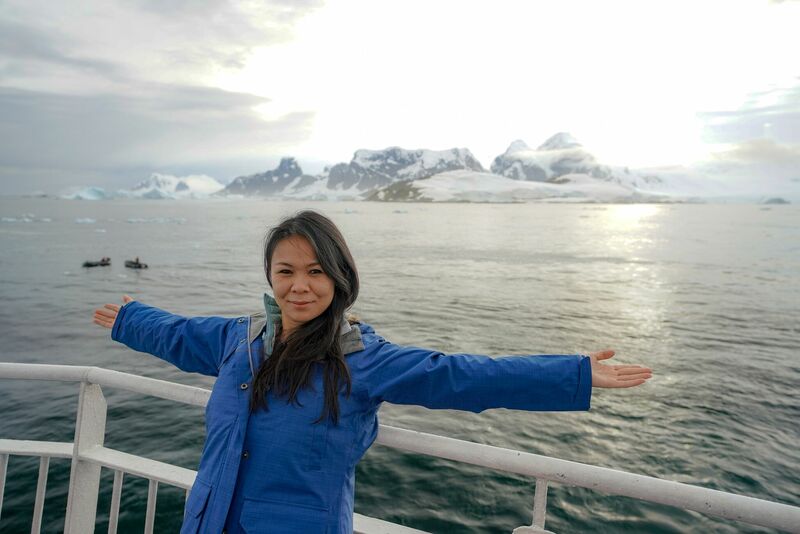 To say it’s been an eventful start of the year for Jessica Cheam, founder of sustainability focused news site Eco-Business, is quite an understatement. 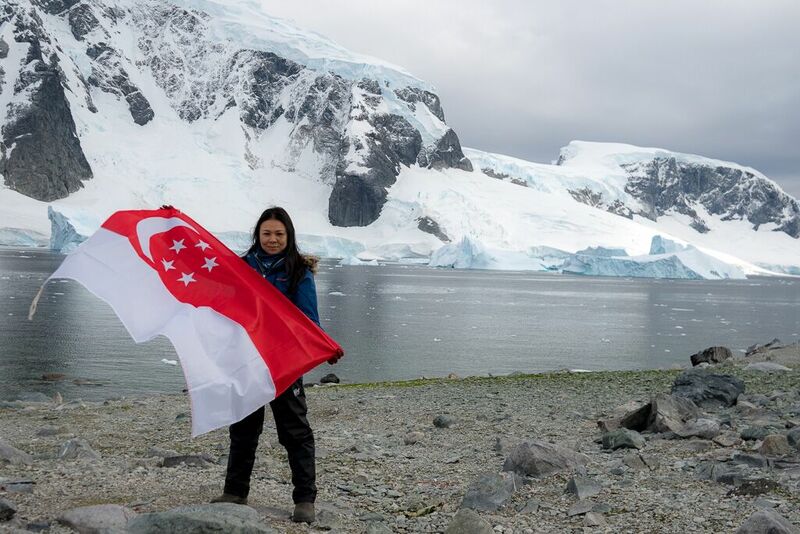 Besides taking part in Climate Force 2018, a 14-day Antarctica expedition led by renowned environmentalist Robert Swan, Jessica is also a Media and Communications award recipient at the first ever Women of the Future Awards, Southeast Asia. The UK-born movement celebrates female talent across various fields, and saw its inaugural ceremony in March this year. Curious about Jessica’s career adventures, I reached out and we talked about setting up Eco-Business, her relationship with the environment, and other topics close to her heart. 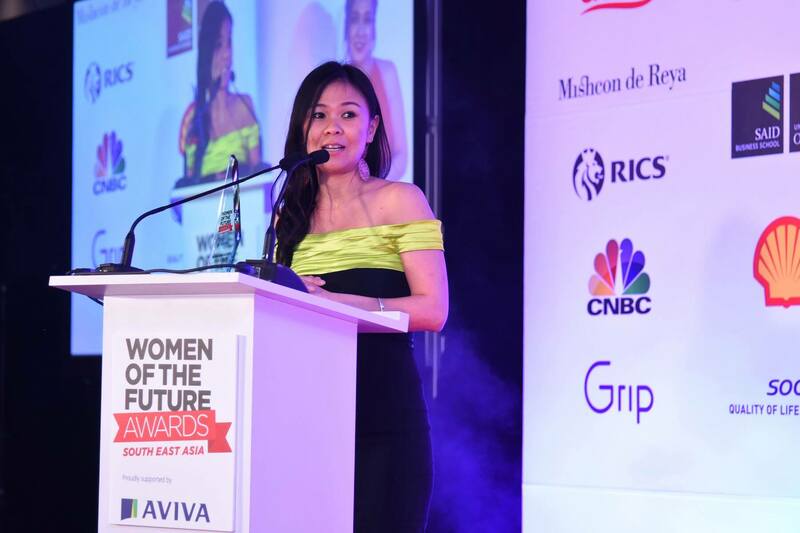 Doyenne.sg: Congratulations on becoming one of this year’s Women of the Future award winners! Jessica: I was shocked and humbled by the award! There were women from much bigger organisations who were in the running. I view it as an absolute honour to be named a winner. D: Personally, how would you define a woman of the future? J: For me, she thinks about the future. Beyond economic gains, a woman of the future is willing to think long-term about society and the environment, collaborate with people, and support fellow women in finding their self-worth and dignity. D: In three words, describe your relationship with the environment. J: Awe, magnificence and insignificance. Mother Nature absolutely inspires me with her magnificence, beauty and fury. We are truly insignificant. D: What was the biggest obstacle faced in building Eco-Business? J: Disbelief in the market, and among family and friends that I could make money running a sustainability-focused news site. We were ahead of its time. The early years were marked by hard work, sweat and tears. It was hard to find advertisers or revenue streams that would pay for independent content. Having my two kids one after the other while trying to build up the business was also a huge challenge. D: What are some common misconceptions people have of social entrepreneurs? J: That you do things for free. It’s misguided and belittles the worth of people who want to earn a decent living but also make a difference. We do a lot of volunteer work, but being a successful social entrepreneur also requires financially-sustainable business decisions. Some also view social entrepreneurs as infallible people, or judge them more harshly. D: How can Asian companies step up in terms of CSR (Corporate Social Responsibility)? J: With companies worth more than the combined GDP of several developing nations, business owners can think consciously about their impact. To own a business and have influence is a privilege. As clichéd as it sounds, with power comes responsibility. It is more important than ever for businesses to take a critical look at whether they are operating responsibly. D: Having been part of the Climate Force 2018 expedition to Antarctica, what was your greatest takeaway from the experience? J: That Mother Nature and the Earth are going to be okay, even if we humans screw everything up. Planet Earth has existed for hundreds of millions of years and Nature has a way of pushing the reset button when things go bad. The problem is, men have colonized virtually every corner of our planet. Antarctica is the only exception. It is not claimed. It is so hostile, it could kill you in minutes. Yet, its beauty is breathtaking. It keeps drawing people back. What’s horrific is realizing that climate change and resource scarcity can bring about a slow disintegration of society. My kids are aged 4 and 6 now. It is frightening to think what their world would be like when they are my age. D: What would you like to see in 20 years’ time? J: There is a book called ‘The World We Made’ by Jonathan Porritt. It paints an optimistic vision of the future in 2050. I hope to see that kind of a planet, where every country draws their power from renewable energy and stark inequality is addressed. D: Let’s touch on gender equality. How does Singapore fare in this regard? J: Regionally, Singapore fares well in terms of providing women with education and work opportunities. However, we are still lagging behind more progressive countries. Despite our supposed support of women in leadership positions, we only accounted for 10.8% of directorships last year. There is still a lack of respect for women in leadership positions. This stems from perceptions that female leaders are less feminine, or simply not as good as male leaders. We need to give women opportunities to reach the highest echelons of society, including having more women in Parliament and the Singapore Cabinet. D: Last but not least, what are some of the little things you do to help the environment? J: I’m no green saint. To live is to consume. I try my best to lower carbon footprints by buying items that are responsibly made or saying no to single use plastic. I also offset the carbon emissions generated by my family and company by investing into reforestation projects. It’s amazing what planting a tree can do for the world. That’s in the power of individuals. Everyone should consider doing it.